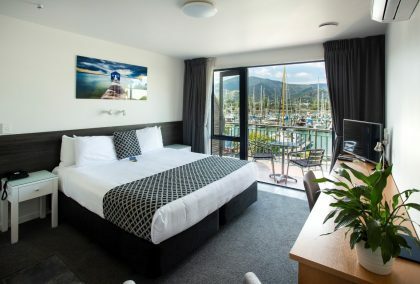 Welcome to the Harbourside Lodge – Nelson’s only Marina waterfront motel. 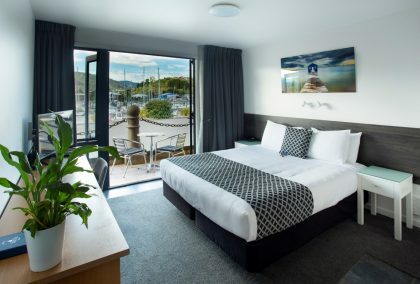 We offer a friendly welcome, first class service and an extremely quiet and comfortable stay, in non-smoking studios, 10 of which boast wonderful Nelson Marina views. 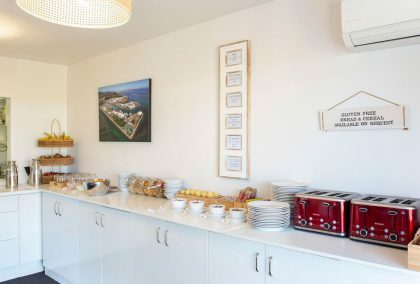 Start your day in our sunny breakfast room with a FREE Continental breakfast buffet or a cooked breakfast at an affordable cost. 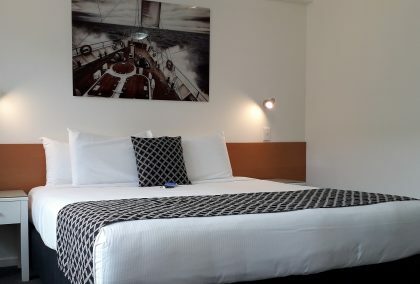 All our rooms have Sky guest select (50 plus channels) , Unlimited free hi speed WiFi and direct-dial phones. 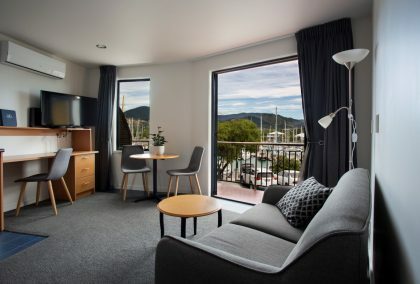 Our motel accommodation is just a fifteen minute walk to the Nelson CBD and 10-15 minutes drive from Nelson Airport. Travellers’ Choice awards are the highest honour TripAdvisor can give (meaning a business is truly exceptional) thus we rank in the top 1% of hotels worldwide. 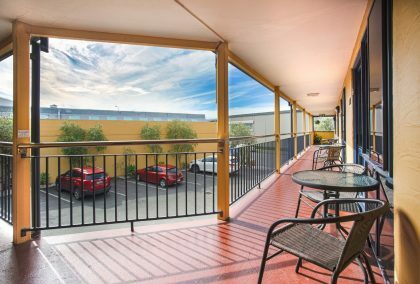 Sunny and centralised spot only a few minutes drive to town. Quiet and close to the restaurant next door. Complimentary breakfast. In room service from the restaurant also just a stroll away. Very enjoyable.